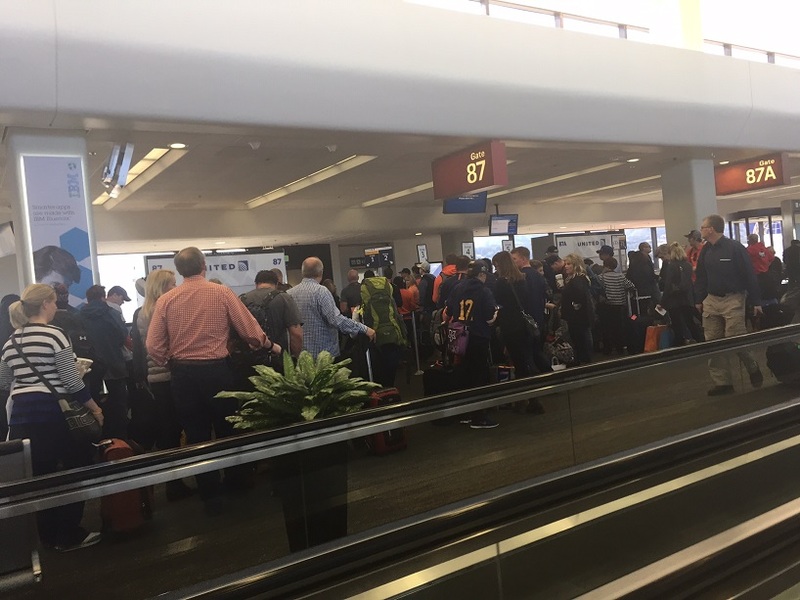 There were a good deal more Broncos fans waiting to get on the flight back to Denver at SFO than there were getting on at the next gate to XNA (that's Northwest Arkansas). I opted for the *new* non-stop flight from SFO to XNA and spent a nail-biting three hours on a plane that sat 45 people tops. Prior to boarding United had asked for volunteers for a potential oversell situation. Once we all got situated they asked all of those volunteers to get off because the plane was to heavy. Oh geez.